I have big plans every summer. 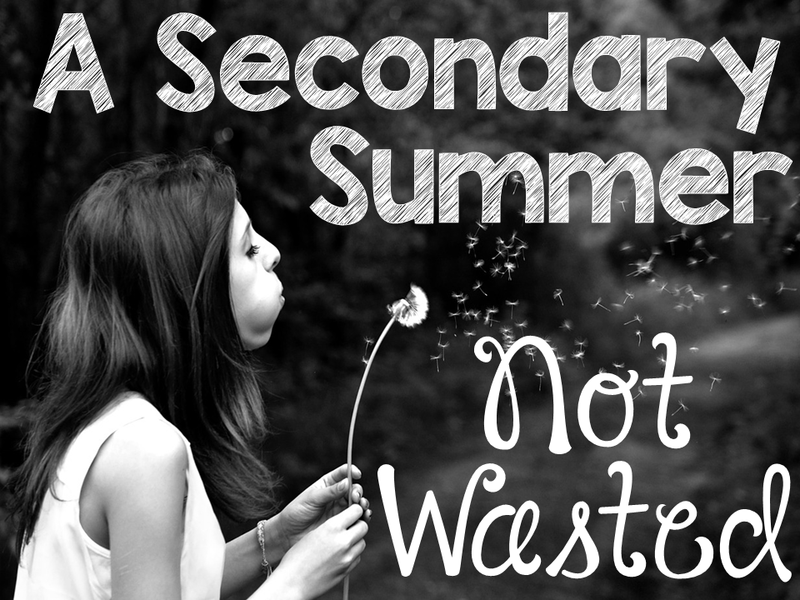 And every summer, I waste A LOT of time. 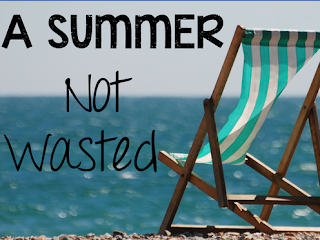 I'm worn out from the school year--don't I deserve to relax a little? Well, yes, but I don't need to sit around all day in my pajamas, reading novels, and drinking copious amounts of caffeine while my son plays video games. This is such an easy trap for me to fall into. I am by nature very, very lazy, and almost as good at justifying my actions as the most typical of teenagers. When I go to any bookstore or peruse the web, I find all kinds of summer bridge activities for the elementary set. But what about the teachers? What about the secondary students? We forget over the summer. We get lazy, too. 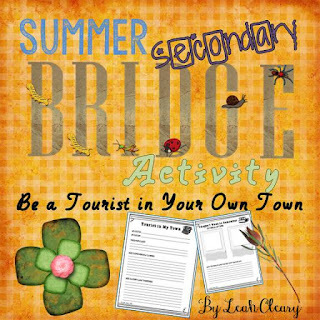 This is the first in my Secondary Summer Bridge Activity Series AND a part of a blog hop by the Tools for Teaching Teens group. 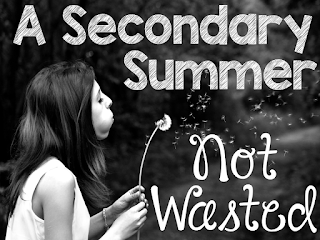 Be sure to check out all of the great secondary summer advice. This is my summer plan for my family. 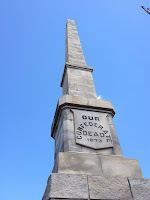 We will visit the places only tourists go--museums, historic sites, theaters, town squares, cemeteries, local restaurants--If a tourist would think to go there, we will, too. I can't think of how many times I've asked a person from Chicago, "Have you been to the Steppenwolf Theatre?" Or a person from Manhattan, "How 'bout the Cloisters?" Or someone from Oahu, "The Pearl Harbor Memorial?" The answer is almost always, "No." 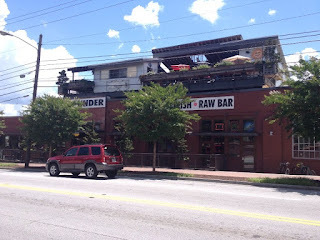 Well, I'm from Atlanta, Georgia (born at Piedmont Hospital downtown, raised just north of the city, now living just south of it). And guess what? There are so many places I've never visited. Great restaurants, theaters, museums--of course. 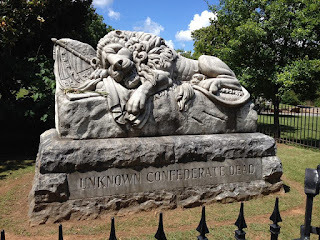 But battles of the Civil War took place here, Sherman burned the place, and like just about any other city in the world, a lot of colorful characters have lived here. My goal is to play tourist once a week this summer. 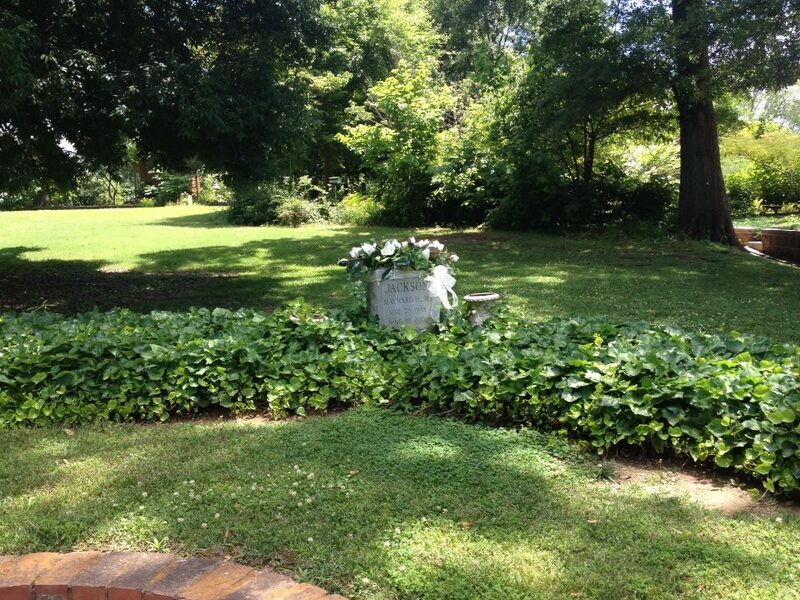 I will blog about it as my assignment, and my son will keep a journal reflecting on each place we visit. 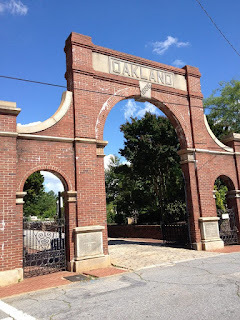 We kicked off our "tourists in our own town," summer bridge activity by visiting (and taking a guided tour of) Oakland Cemetery, established 1850, in the Grant Park district of Atlanta. 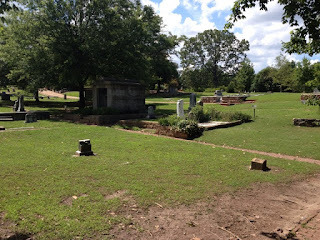 We arrived at Oakland at noon, picked up our tickets, and headed across the street to Six Feet Under, a charming Southern-style seafood pub that overlooks the cemetery. They also offer a nice discount with your tour receipt. Nice discount at Six Feet Under! Here's my family about to go on the tour, and me wishing I had remembered the sunblock. My Irish complexion is now painfully red. 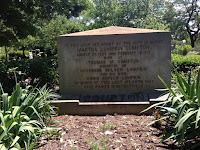 Atlanta was first called Terminus (it was a train stop) before being renamed Marthasville after the Governor's daughter. 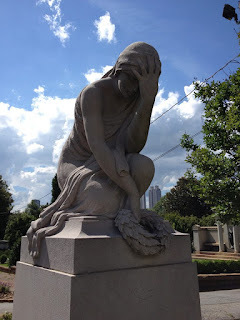 It was finally renamed "Atlanta" because Marthasville was just too cumbersome for the railroaders to write. One of the best things I learned during the tour was the rich symbolism evident on the memorials. The statue below is of a mother and daughter. 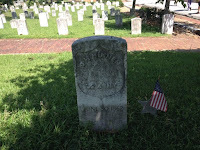 The Neal family had lost six children. They had two daughters left--a 14 year old and a 22 year old. 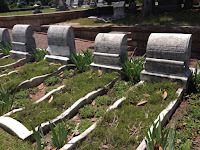 They thought they were out of the danger zone (many young children died during the Victorian era [1/3 of the graves in Oakland are for young children]) when their 22 year old took sick and died. This was too much for the mother to take, so she died, too. 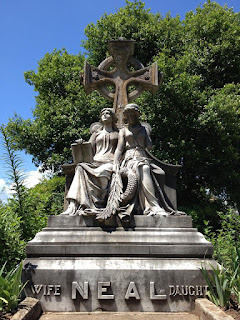 The father had this statue constructed to commemorate the pair. The two are barefoot to demonstrate their intimacy. 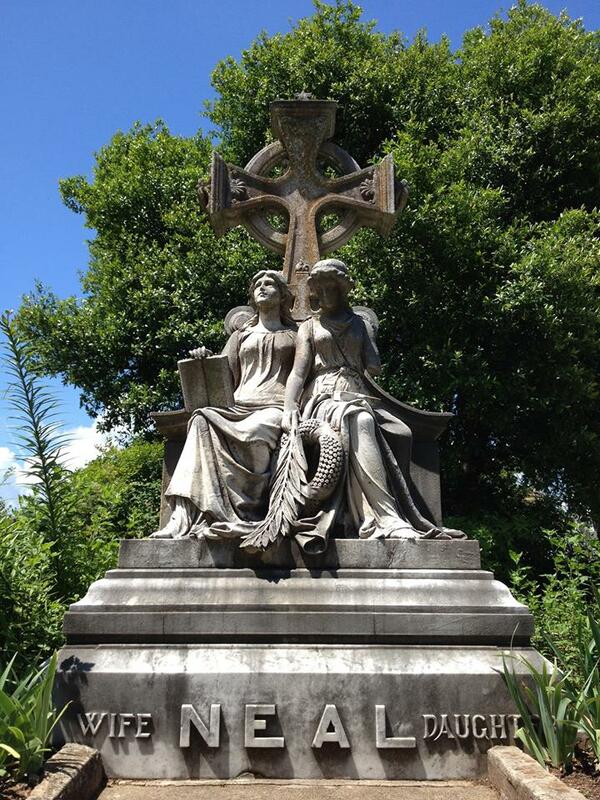 The cross is Celtic to represent their religious faith and their Irish heritage. The mother has an open book in her lap to symbolize a lifetime of wisdom, and the daughter's book is closed to represent a life cut short. 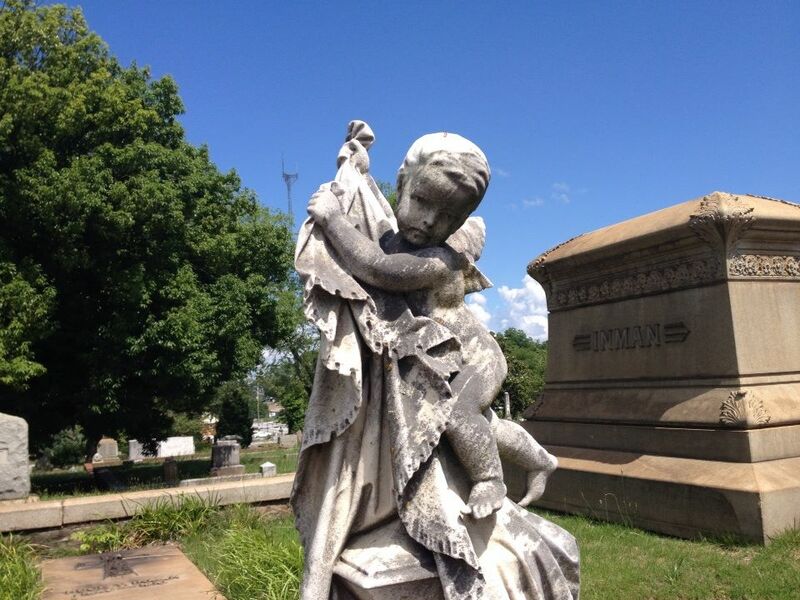 Death of the young haunts the entire cemetery. 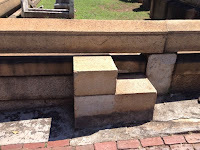 Here is a common sight in Victorian cemeteries--cradle graves. And here are two of the Inman (a prominent Atlanta family) Children's markers. Both faces are death masks (molds taken of the children's faces upon their deaths), so the faces look like the actual children. The 2 year old in the first picture is represented as an angel ascending to heaven, and the five year old in the second picture is seated next to a tree trunk--again, representing a life cut short. 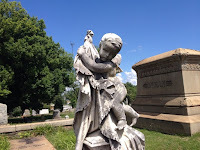 The next picture is the tombstone of a mother and her two children. Her husband was away fighting in the civil war. She and her two children were staying in Atlanta. Sherman was invading. He would have his men point the cannons at places in the city and fire. Move them, and fire again. So they didn't fire in the same place twice. 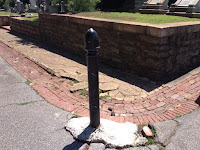 Therefore, the safest place to hide during an assault was in one of the holes created by a cannon ball. That's where this mother and her children were hiding when her infant son succumbed to an illness. 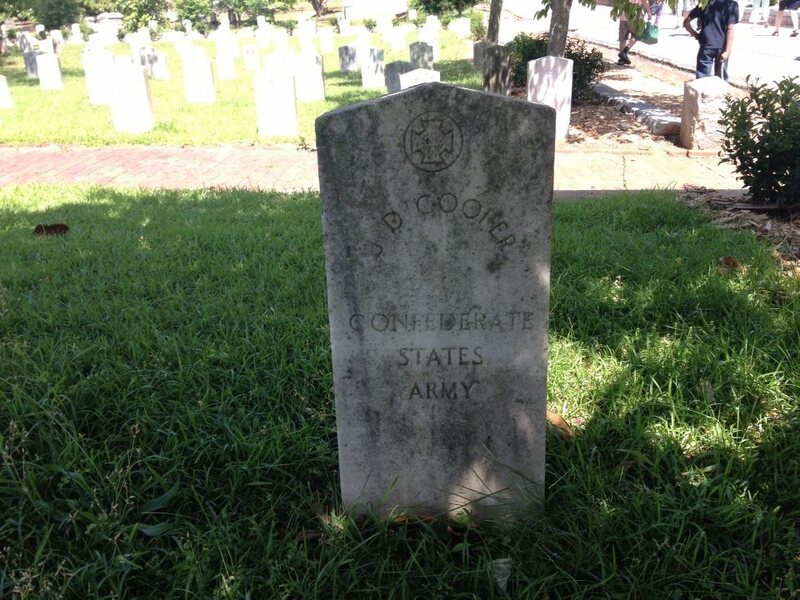 She walked through Atlanta during the battle, heading for Oakland Cemetery to bury her son. 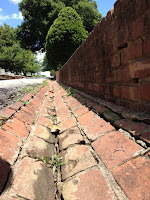 A slave returning to the city to lock up his master's house encountered her and urged her to go back. 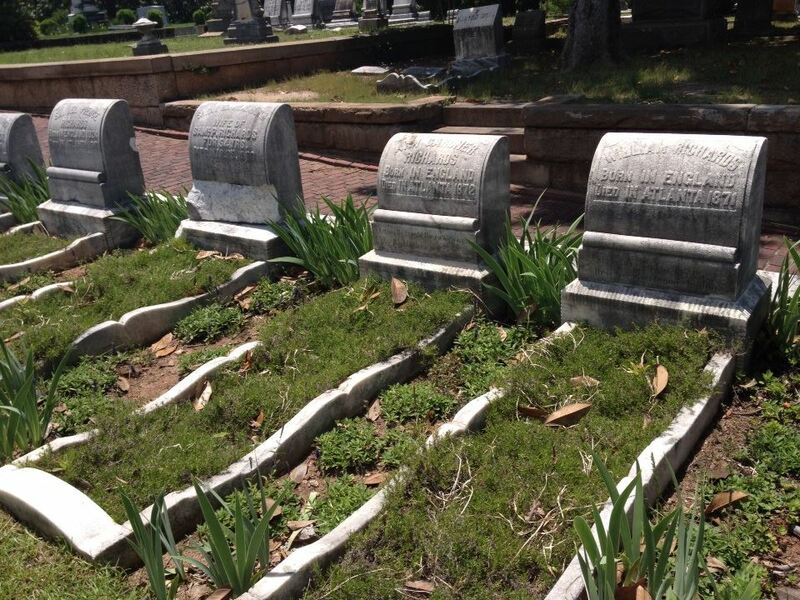 When she refused, he drove her in his wagon to the cemetery and dug this grave for her baby. 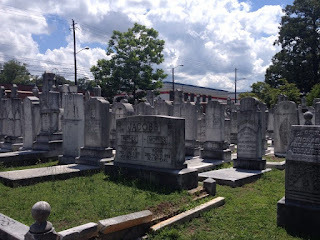 The Jewish Section. 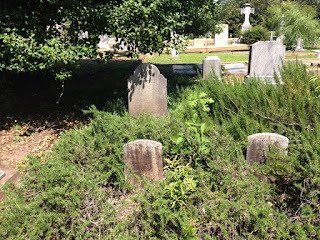 The graves are so close because they had to be buried the next day after death by sundown. 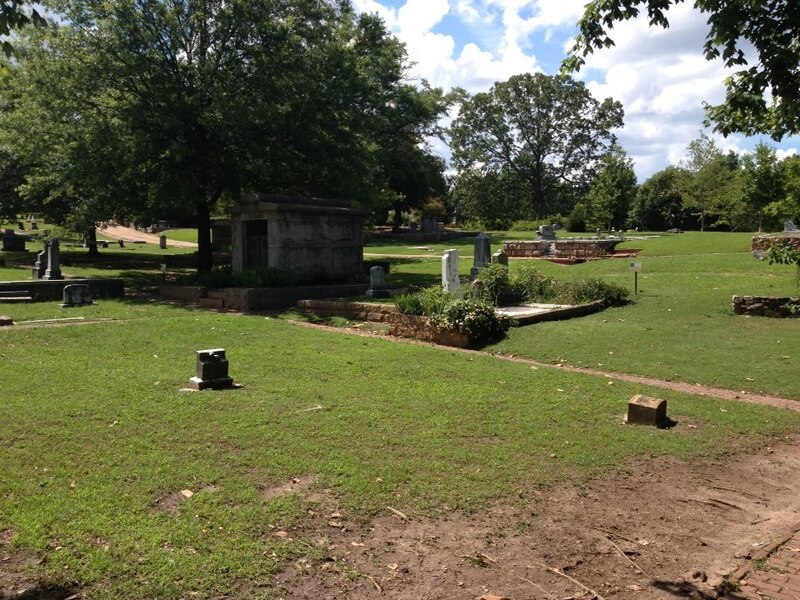 They are buried right next to each other, chronologically, rather than in family plots. There is a rich history in this old city that I take for granted that I am out to discover this summer. 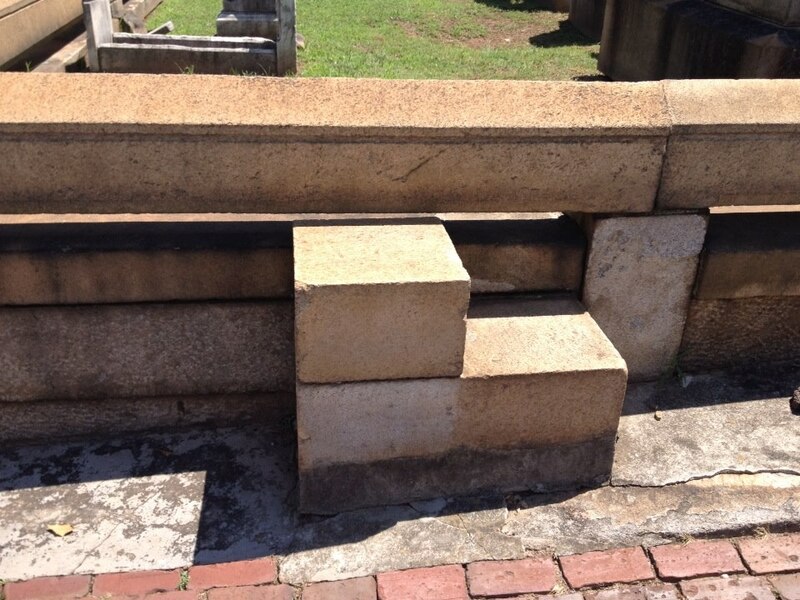 Look at items of architecture in the cemetery alone. Or the history of the civil war. And, finally, the future of the city. I believe it's one of hope. 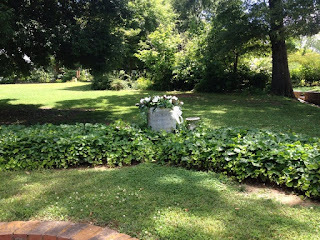 I loved that my son got to see this final sight--the grave of Maynard Jackson, the first African-American mayor of the city. His marker is facing diagonally--toward the skyline of the city that he loved so much. Maynard Jackson's Tombstone Faces Downtown Atlanta. Here's the activity that I'm making my son do, BWAAHAAHAA!!!! I'm printing the pages for each tourist attraction we visit and placing them in a binder. By the end of the summer, he will have a journal of our field trips--and I'll share it here. Have you ever played tourist in your own town? Or will you this summer? Be sure to leave a comment below to let me know where you have or will visit! And be sure to hop on over to Brigid, The Math Giraffe's Blog, to check out her summer plans! I love this idea, Leah! Thanks, Andrea...It's a lot of fun for our family, too! Leah, what a great idea! I did a little bit of this years ago, as part of a class, but not since then. I think I will be a tourist with my younger daughter this summer! Thanks for the idea! Thanks, Ellie, we're all waaay excited about our summer! I'm definitely going to do this!! This is my first summer in my current city, and I can't wait to explore!! Thanks, Leah! That will be so exciting! I love getting to know a city--they all have a unique character. This is a fabulous idea Leah. We're going to the museum tomorrow. 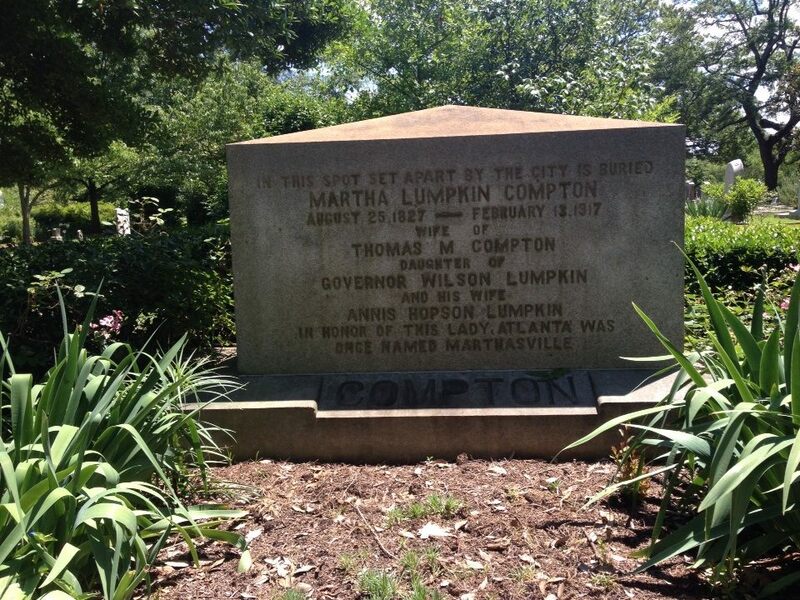 Your cemetery sounds fascinating. 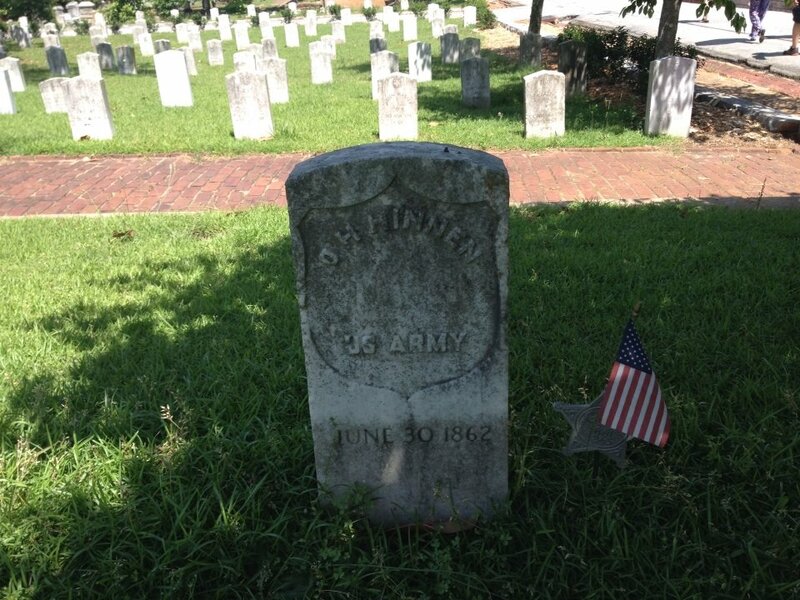 Makes me want to check out our oldest cemetery and see if they have anything similar. 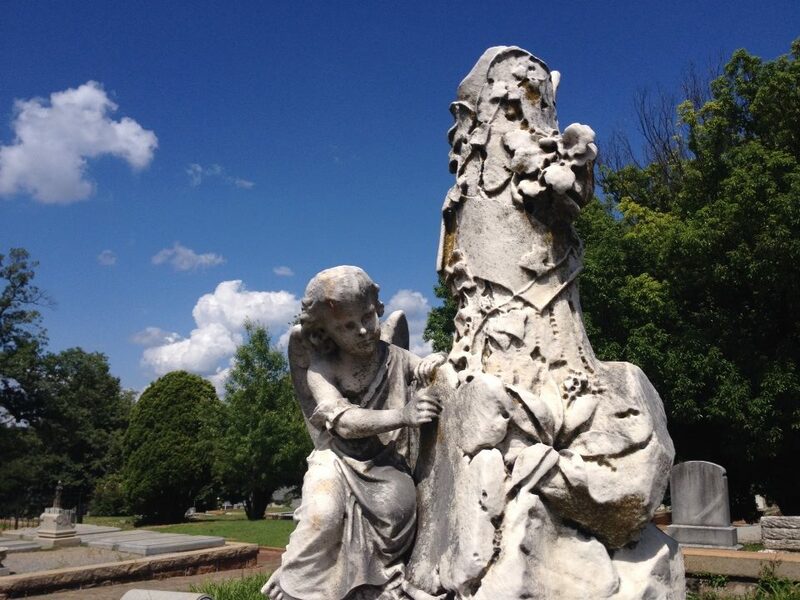 I bet they do--all cemeteries are filled to the brim with stories. 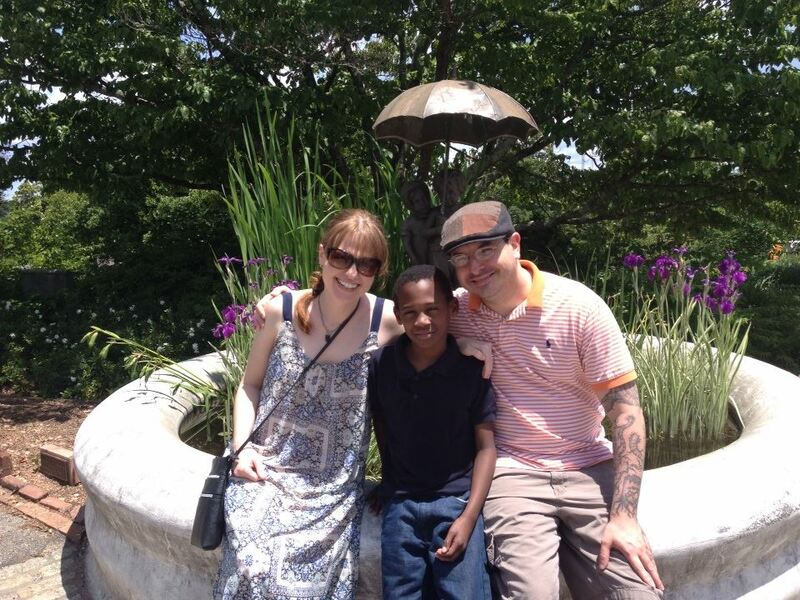 We're debating what we want our next trip to be--museum, botanical gardens, aquarium....We can't decide!